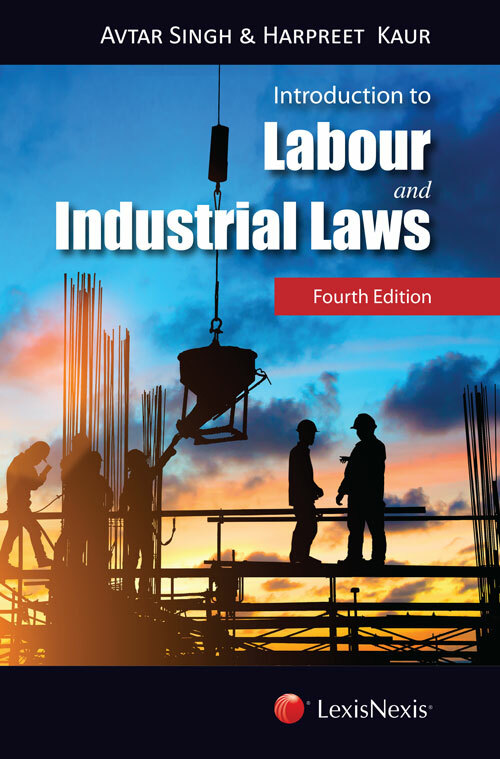 “Introduction to Labour and Industrial Laws 4e, is specially designed as a study aid for law students with a clear objective of assisting students in their examination preparation. The book will also fulfil the requirement of students pursuing the LL.M. course from various universities of the country including National Law Schools and for students pursuing MBA (HR). The text covers all the major industrial and labour laws such as the Industrial Disputes Act, 1947, The Factories Act, 1948, The Minimum Wages Act, 1948, The Payment of Wages Act, 1936, The Payment of Gratuity Act, 1972, The Payment of Bonus Act, 1965, The Trade Unions Act, 1926, The Employees’ Compensation Act, 1923, The Employees’ State Insurance Act, 1948, The Employees’ Provident Funds and Miscellaneous Provisions Act, 1952, The Fatal Accidents Act, 1855, The Industrial Employment (Standing Orders) Act, 1956, The Maternity Benefit Act, 1961, The Apprentices Act, 1961, The Equal Remuneration Act, 1961, The Child Labour (Prohibition and Regulation) Act, 1986 and The Contract Labour (Regulation and Abolition) Act, 1970.